This is the second project we have used StoneSelex for at our home. 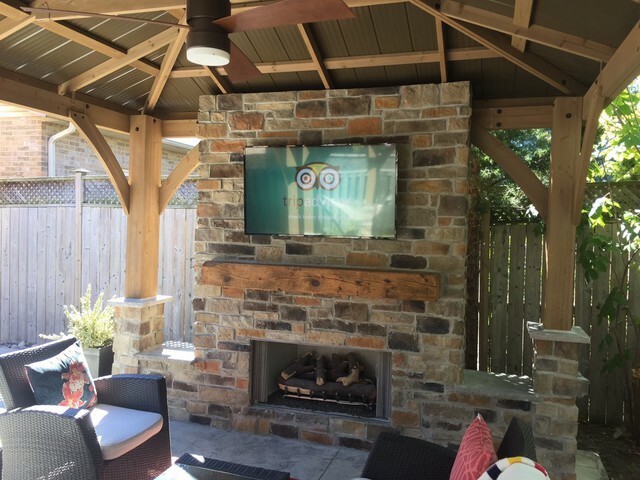 The most recent project was our backyard "outdoor room" project - building a large outdoor gas fireplace surround, and covering our gazebo columns in stone. As always, the guys are friendly, super-professional, and did an outstanding job. They make suggestions in order to save money which is nice. We are very pleased that you are enjoying your stone installation exterior stone installation. Thank you for sharing your experience with us. It was our pleasure to be working with you on your home improvement project.